0.4mm metal encased tip. Long cap-off time, water based ink. 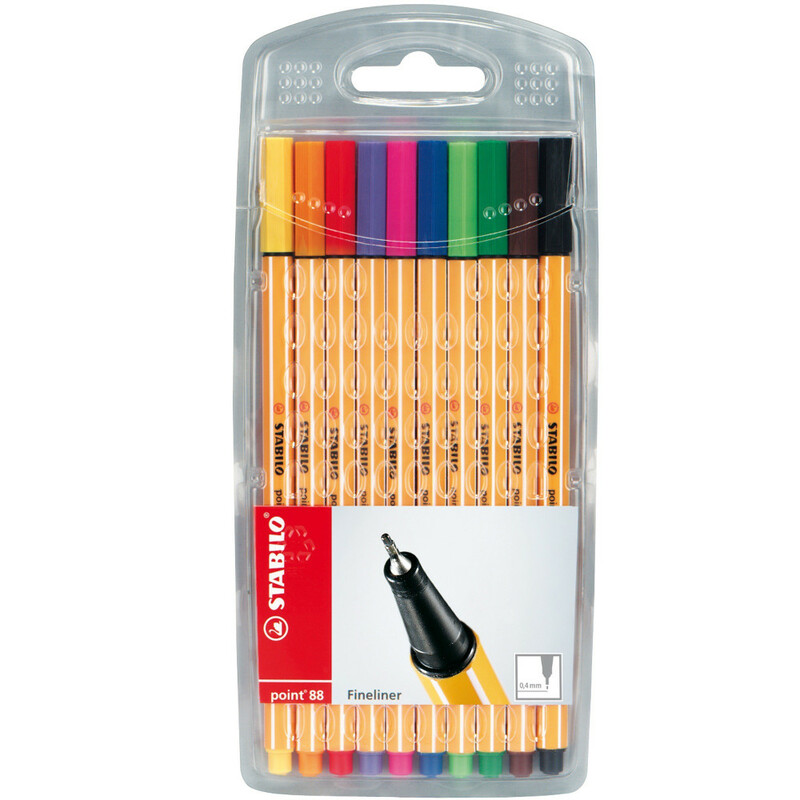 Unmistakable hexagonal striped design, suitable for writing or sketching with rulers and stencils. Made in Germany for high quality performance. Black, blue and red available in boxes of 10.